Lord Jesus, you fill us with the joy of your saving presence and you give us the hope of everlasting life with the Father in Heaven. Show me the Father that I may know and glorify him more fully. In your Name, I pray. Amen. 4:1 Therefore, since it is by God’s mercy that we are engaged in this ministry, we do not lose heart. 2 We have renounced the shameful things that one hides; we refuse to practice cunning or to falsify God’s word; but by the open statement of the truth we commend ourselves to the conscience of everyone in the sight of God. 3 And even if our gospel is veiled, it is veiled to those who are perishing. 4 In their case the god of this world has blinded the minds of the unbelievers, to keep them from seeing the light of the gospel of the glory of Christ, who is the image of God. 5 For we do not proclaim ourselves; we proclaim Jesus Christ as Lord and ourselves as your slaves for Jesus’ sake. 6 For it is the God who said, “Let light shine out of darkness,” who has shone in our hearts to give the light of the knowledge of the glory of God in the face of Jesus Christ. 14:6 Jesus said to him, “I am the way, and the truth, and the life. No one comes to the Father except through me. 7 If you know me, you will know my Father also. From now on you do know him and have seen him.” 8 Philip said to him, “Lord, show us the Father, and we will be satisfied.” 9 Jesus said to him, “Have I been with you all this time, Philip, and you still do not know me? Whoever has seen me has seen the Father. How can you say, ‘Show us the Father’? 10 Do you not believe that I am in the Father and the Father is in me? The words that I say to you I do not speak on my own; but the Father who dwells in me does his works. 11 Believe me that I am in the Father and the Father is in me; but if you do not, then believe me because of the works themselves. 12 Very truly, I tell you, the one who believes in me will also do the works that I do and, in fact, will do greater works than these, because I am going to the Father. 13 I will do whatever you ask in my name, so that the Father may be glorified in the Son. 14 If in my name you ask me for anything, I will do it. Today the church remembers Saint Philip and Saint James, Apostles. The apostle Philip was from Bethsaida and was one of the Twelve. He is mentioned in all four gospels and figures prominently in two episodes in the Lord's ministry. In the first, the Feeding of the Five Thousand, Philip's very practical nature shows through (see John 6:5-14). The other episode is the gospel lesson for this feast (see John 14:6-14). He should not be confused with Philip, Deacon and Evangelist, who is mentioned in the fifth and eighth chapters of Acts. James the Less, son of Alphaeus, was one of the Twelve also. He should not be confused with either James, the son of Zebedee (see July 25), or James, the Lord's brother (see October 23). His agnomen "the less" may imply a small stature or youthfulness. He is mentioned only four times in Holy Scripture, and then briefly or in a list, so we know very little about him. Philip and James are little more than names to us today. One cannot imagine their being saddened by this fact, since this community and the Christ it knows lives on. "For what we preach is not ourselves, but Jesus Christ as Lord, with ourselves as your servants for Jesus' sake" (2 Corinthians 4:5). 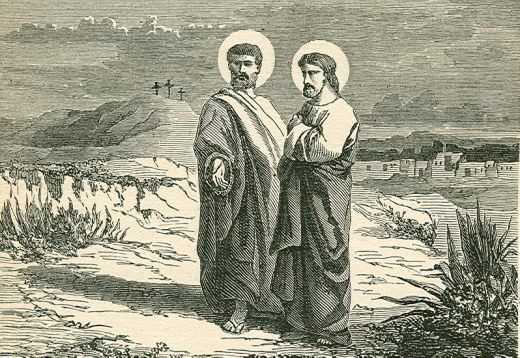 Why do we celebrate the feasts of St. Philip and St. James the Less on the same day? Because they were both apostles? No, we celebrate them on the same day because their relics were brought to Rome together on the same day in early May. They rest there still, in the Basilica of the Holy Apostles. You may be wondering why this apostle James is called “the Lesser.” It is to distinguish him from the other apostle, James, the son of Zebedee, the brother of John, and the one known as “James the Greater,” whose feast day is July 25. It’s not meant to belittle or deride. James the lesser was, after all, chosen by Jesus Christ to be one of the twelve pillars of the Church. It’s a bit like calling one James “Jamie” to distinguish him from another James in the household. We find him listed in the gospels as James the son of Alphaeus. James was martyred in Jerusalem around Passover during the time Nero was Emperor of Rome. He was arrested and ordered to stand atop a wall in Jerusalem and preach against Christ. James climbed the wall as ordered and then preached the death and resurrection of Christ. Soldiers threw him off the wall. When the fall did not kill him, they began to stone him until he died, a faithful follower of the Christ who called him. Philip doesn’t argue or try to top his friend’s flippant remark. He simply says, “Come and see,” trusting that all who come and see will discover the Lord. Philip was killed in Greece under the reign of the Roman emperor, Domitian. Tradition says he was crucified upside down, like James, a faithful follower of the One who called him. In our own time, Christian martyrdom is at an all time high: Rome’s Trevi Fountain Illuminated for Christian Martyrs. Lord Jesus, you fill us with the joy of your saving presence and you give us the hope of everlasting life with the Father in Heaven. Show me the Father that I may know and glorify him more fully. In your Name, I pray. 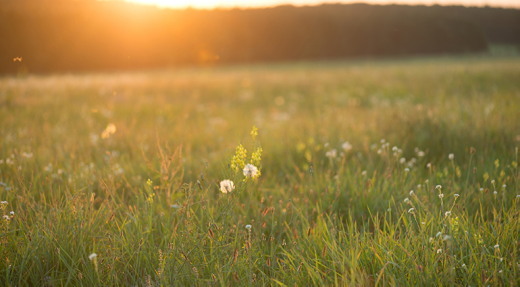 John 14:8-9 (NIV) Philip said, “Lord, show us the Father and that will be enough for us.” Jesus answered: “Don’t you know me, Philip, even after I have been among you such a long time? Anyone who has seen me has seen the Father. How can you say, ‘Show us the Father’? Philip said, “Lord, show us the Father and that will be enough for us.” Jesus answered: “Don’t you know me, Philip, even after I have been among you such a long time? Anyone who has seen me has seen the Father. How can you say, ‘Show us the Father’? We all know that God was revealed in Jesus. One who has seen Jesus effectively has seen the Father. One who has faith and believes in Jesus believes the Father and shall do the works of Jesus. Jesus is the only way to God, the only truth that sets our being free and the eternal life that is to be lived here and now. God expressed Himself through our sinless Jesus. Everything that Jesus was, what He said and did, was a revelation of Who God is. In the present age that Jesus is physically not with us, how shall the Father reach out to His children? Our heavenly Father will undoubtedly go through Christ’s disciples, those who follow Jesus and are one with Him. They are those who have accepted Jesus as their Lord and Savior and the True Messiah. They have acknowledged Jesus’ order to preach His Word to the ends of the earth. They have taken it upon themselves to bring God to all men and they do good and godly acts. Jesus placed upon their shoulders the responsibility of saving souls of men and the establishment of His Universal Church. Their works are greater indeed but all in the Name of Jesus and with the empowerment of the Holy Spirit. But in order for a disciple of Jesus to do all His works, one has to be in close union and fellowship with Him such that His love, mercy and forgiveness flow through them. They should be One with Christ much the same that Jesus is One with Father. 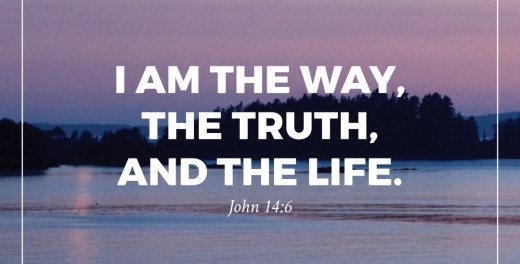 Jesus said, “I am the way and the truth and the life”. If we have to pursue the work of Jesus, then our lives should be able to witness Christ in us. We should be able to show the way to salvation, the truth that has set us free and the life of grace that has brought us to be one and in communion with God and His people. Heavenly Father, help me make your kindness, your faithfulness and our salvation in Jesus be known to all the nations. In His Mighty Name I pray. Amen. Show the world that JESUS is the way and the truth and the life by being an authentic Christian disciple. So overflowing is His kindness toward us that He took away all our sins through the blood of His Son, by whom we are saved; and He has showered down upon us the richness of His grace—for how well He understands us and knows what is best for us at all times. Wherever there are people, there are "rites of passage." 3. Quebec's Algonquin tribe gives their adolescent boy an hallucinogenic drug called wysoccan to force out all memory of being a child. One-hundred percent more powerful than LSD, the drug has also been known to make them forget their names and how to speak. In North America, the rites of passage include ... drum roll, please ... getting a driver's license. Recently, in Buffalo, Minnesota, an unnamed 17-year-old girl underwent the driver's license rite of passage. The test began with the girl putting her SUV into gear to back out of her parking place. Sadly, the young lady didn't put the SUV into reverse, she put it into drive. And then she stepped on the gas. The vehicle jumped the curb and plowed into the office from which the tests are administered. The vehicle fit nicely into the double-door opening and managed to get up to the hinges on the front door before it was stopped. The girl was all right, but the 60-year-old examiner was taken by ambulance to the hospital with non-critical injuries. In spite of all this, the Buffalo police report says no charges are pending. That's right. Even though the girl obviously failed this rite of passage, no charges are being pressed. I can think of a number of reasons why. Amongst those reasons would be the police feel sorry for her. Another reason: they know the teasing the poor girl will endure is going to be worse than any sentence any judge could pronounce. It may be they acknowledge this was a testing situation, and the girl was under the authority of an official. Finally, they may not be pressing any charges because it is the gracious thing to do. It is that last reason which the Lord understands. You see, all of us have failed the human test for perfection. Oh, there may be some nice people out there, and there may even be, at least by human standards, some good people out there, but there are no perfect people. All of us were born sinners, and we live each day as sinners. 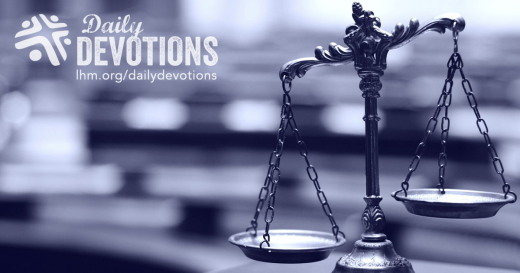 Looking at us, the Lord in His grace proposed a way He wouldn't have to press charges. No, He just didn't wave a divine hand or say a divine word to make that happen. His justice wouldn't allow that. Instead, He sent His Son into this world to pass the test we had failed and to pay the penalty price for sin we deserved. This Jesus did from Bethlehem to Jerusalem. And now, because He has risen from the dead, the Lord will not press charges against all who have been brought to faith in His Son. THE PRAYER: Dear Lord, I give thanks for Your Son whose life has made it so that I will never have charges pressed against me. May the entire world see Your grace. This I ask in the Savior's Name. Amen. Que el amor fraternal permanezca en ustedes. Y no se olviden de practicar la hospitalidad, pues gracias a ella algunos, sin saberlo, hospedaron ángeles. Aunque a los más jóvenes les cueste creerlo, hubo un tiempo en que las gasolineras utilizaban algo más que el precio de la gasolina para atraer clientes: ofrecían un servicio. Es por eso que, en algunos lugares, todavía hoy se las conoce como "estaciones de servicio": porque allí median el aceite, el aire de las gomas, y cualquier otra cosa que necesitara ser controlada. Cualquiera que haya volado o que utilice un teléfono celular sabe que, en algunos lugares, el concepto de servicio deja mucho que desear. Algunos llegan al punto de decir que el servicio ya no existe. 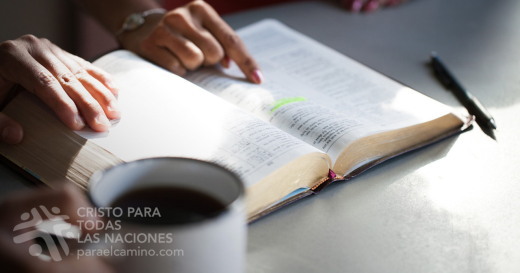 Como cristianos no tenemos la capacidad de cambiar cada aspecto de la sociedad ingrata en que vivimos, ni de enseñar a cada persona a ser amable. Pero eso no quiere decir que tenemos que darnos por vencidos, porque sí podemos ser generosos y hospitalarios. Cuando mi esposa y yo visitamos iglesias la mayoría de las personas me reconocen, por lo que me saludan muy amigablemente. Pero mi esposa no es tan conocida. Lamentablemente, ha habido ocasiones en que ha entrado a la iglesia, participado de la adoración y salido, sin que nadie le haya sonreído o dado la bienvenida. El escritor de la carta a los hebreos tenía un problema con ese tema, razón por la cual, con la inspiración del Espíritu Santo, los alentó diciendo: "Sigan amándose unos a otros fraternalmente. No se olviden de practicar la hospitalidad, pues gracias a ella algunos, sin saberlo, hospedaron ángeles". Con esto no quiero decir que mi esposa es un ángel, ni que cada persona nueva que llega a su iglesia sea un mensajero salido de las huestes celestiales. Pero sí que todas esas personas son amadas por Jesús. La persona desconocida que se sienta al lado suyo en la iglesia no es desconocida para Dios. Ese rostro, extraño para usted, no es extraño para el Salvador. Jesús vio el rostro de esa persona cuando estaba en el jardín de Getsemaní. No sólo vio su rostro y su pecado, sino que la amó tanto como para dejarse arrestar, golpear, escupir, maltratar, coronar con una corona de espinas, y crucificar. Fue por ese extraño, y por cada uno de nosotros, que Jesús murió y resucitó, lo que quiere decir que ese extraño y yo tenemos mucho en común y que, si bien puede ser difícil ser amable con los extraños, no es tan difícil ser amable con un hermano en la fe. Ese es el servicio que los cristianos podemos hacer. ORACIÓN: Querido Señor, gracias por hacerme miembro de tu familia a través del sacrificio de tu hijo Jesucristo. Abre mis ojos cada día para que pueda ver en los demás a tus hijos redimidos, y amarlos como Jesús me ama a mí. En su nombre te lo pido. Amén. Mi alma espera al Señor más que los centinelas a la mañana, más que los vigilantes a la mañana (v. 6). Cada 1.° de mayo, en Oxford, Inglaterra, una multitud se reúne por la mañana temprano para recibir la primavera. A las 6, el Coro de Magdalen College canta desde arriba de la Torre Magdalen. Miles aguardan con expectativa que se vaya la noche y comiencen el canto y el repiquetear de las campanas. Al igual que ellos, yo también suelo esperar… pero respuestas a oraciones o la guía del Señor. Aunque no sé cuánto tardarán, estoy aprendiendo a esperar con expectación. En el Salmo 130, el escritor expresa su profunda angustia ante una situación que se parece a la noche más oscura. En medio de sus problemas, decide confiar en Dios y mantenerse alerta como un centinela encargado de anunciar la llegada del alba: «Mi alma espera al Señor, más que los centinelas a la mañana, más que los vigilantes a la mañana» (v. 6). La expectativa de que la fidelidad de Dios se abra paso en la oscuridad le da esperanzas al salmista. Basada en las promesas de Dios en su Palabra, esa esperanza le permite seguir esperando, aun cuando todavía no haya visto los primeros rayos de luz. Si estás en medio de una noche oscura, cobra ánimo. Ya llega el alba… ¡en esta vida o en el cielo! Mientras tanto, sigue esperando que el Señor te libere. ¡Él es fiel! Señor, abre mis ojos para verte obrando en medio de mi oscuridad. Podemos confiar en Dios, tanto en la luz como en la oscuridad. Cada 1.° de mayo, en Oxford, Inglaterra, una multitud se reúne por la mañana temprano para recibir la primavera.